The White House is finally doing some firing, major contractor CGI is out and Accenture is in, over Healthcare.gov. CGI is on the outs, but Accenture has to do much better to make any significant difference for healthcare.gov. The Obama administration is poised to make some healthcare.gov contract changes, according to the Washington Post. Behemoth consulting firm Accenture will replace CGI Federal, which was largely responsible for the website’s botched rollout. The new contract retains Accenture for $90 million over 12 months. CGI began work on healthcare.gov in 2011. 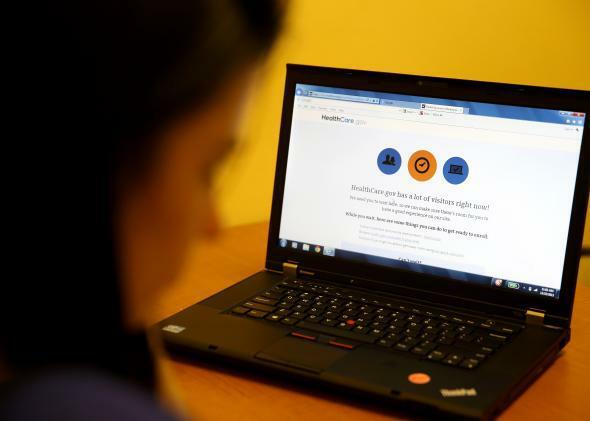 After the site’s initial failure when it launched last year on Oct. 1, the Obama administration set a new goal of drastic improvement by Dec. 1, and CGI scrambled to shape up and make changes. The site was in much better shape when the December progress report went out, but the Post reports that officials were frustrated because approximately half of the code CGI presented failed on the first try. Even though the site is in much better shape now and Accenture is coming at the project with relevant experience—like the creation of California’s new insurance exchange—it could still be a rocky road for the new contractor. The main task is to make improvements that are not just minimally functional, but pleasant for users and powerful to help rehab healthcare.gov’s problematic reputation. Accenture must also make sure that there are easy ways for users to deal with some of the Affordable Care Act’s most damaging early problems, like people losing policies they were supposed to be able to maintain. But the massive project isn’t exactly primed for a smooth and collaborative transition. Accenture will have only two and a half months to take over from CGI before it’s on its own. Hopefully, if nothing else, the PR nightmare from October will scare Accenture into really stepping up to the plate.